I had a little break from the Green Smoothie Challenge and the first item of business was to bake some bread. I’m a little obsessed with bread to tell you the truth. I can’t count the number of times I’ve thanked my lucky stars that I don’t have any issues with gluten. 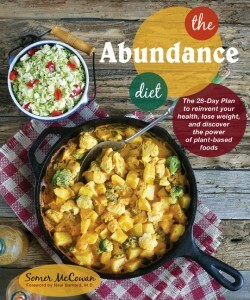 This recipe is adapted and veganized from one my sister-in-law Linda contributed to our family cookbook. She was born in New Zealand and raised in Australia. She met my brother in Hawaii. I think all the islanders want to claim this recipe as their own. I can’t blame them. It’s truly fantastic. I can’t call it healthy though, this is pure indulgence. I’m back on the challenge, but I’ll share a couple naughty recipes with you from my break. Dough Method: Combine all ingredients for dough and knead for 10-15 minutes. Dough will be soft and sticky. Cover and let rise for 60 minutes. Punch down, cut and divide into 16 even pieces. Shape into round balls and place in a lightly oiled tall round dish. Cover and let rise again until double, about 30-60 minutes. Coconut Custard Sauce Method: While the dough is rising (2nd rising) combine all ingredients for the custard sauce in a small saucepan. Heat over medium-high heat til it comes to a boil. Reduce heat slightly and boil and stir constantly for 1 minute until thick. Let cool slightly. Preheat the oven to 350 degrees. 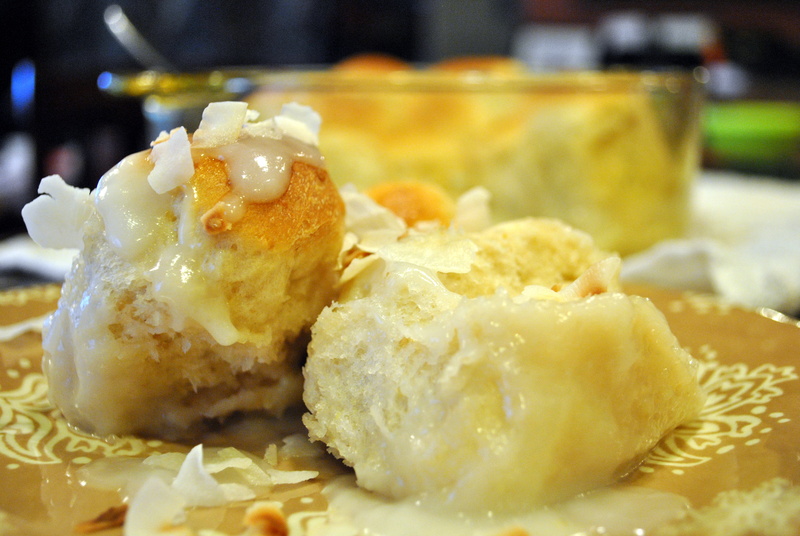 Pour the slightly cooled custard sauce over the risen dough. Bake for 18-20 minutes. 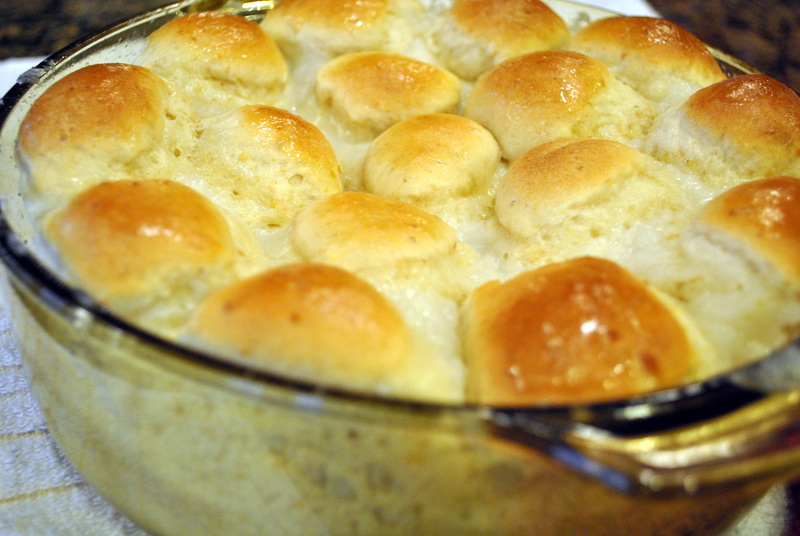 The tops of the bread rolls will be golden brown. Remove from the oven and brush with a little coconut oil if desired. Serve with spoonfuls of the custard sauce. I sprinkled mine with a bit of toasted shaved coconut. This recipe is featured on the Virtual Vegan Linky Potluck! custard and bread.. i am there:) looks fabulous. oh holy yum…. that looks so good. How have you been? I feel like I haven’t heard from you. You must be super busy. You’re a sweetheart Susan. My family is my priority, when blogging takes over play time with my kids, it’s time for a break 😉 I’ve just gotta figure out the way to do it all. Haha! I totally feel like I gain weight when I read blogs! Hence my absence from the blogosphere as of late…. Was waiting for this one. Three words: Coconut. Custard. Sauce. I need to find out about these pineapple custard buns! No, no you don’t. No good can come of it. Exactly. Those buns happened a couple of times when pregnant. Honey, I need Bo Lo Bao, right now. Now you have me in stitches! I don’t even know where to begin with this! Can I come visit and eat your leftovers!? Brrrrrreeeeeeeaddddd! I have never heard of this before, but the name is pretty radical, and it looks darn tasty! Wow, this looks amazing! 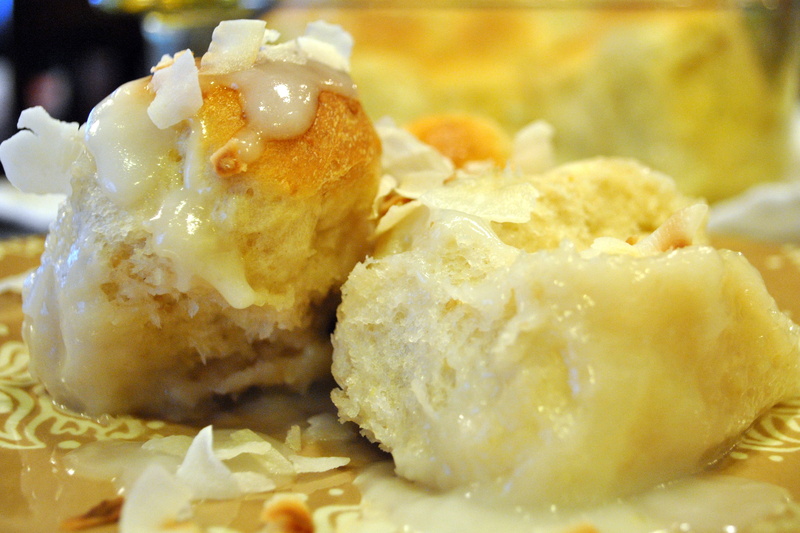 Bread + Coconut + Custard Sauce = Oh my! I am saving this one for when we try gluten again for sure! Sounds incredible! Oh man, that looks incredibly delicious! Must give it a try. I know, it’s a strange but delicious one! I think it’s so awesome that you have a family cookbook! That’s such a great idea!